Welcome to the first meeting of the CC at Home Book Club! Would you like to be a member? It's easy! All you have to do is read the book with us. No? Well, what's stopping you? 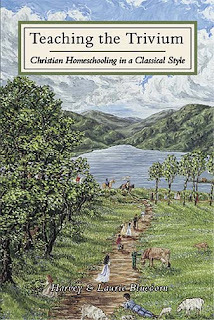 One of our favorite, easy-to-read guides to classical Christian education. We believe math should be taught classically in grammar school, but wholeheartedly endorse the rest of this great book. Click here to see what else CC has to say about this book. Friends, I've started this book, and all I can say is that it's rocking my world! Wow! I've had some excellent conversations about this book, and I can't wait for you to join in. Summer is a great time to catch up on some reading, so let's do it! Quick note about this book: If you're already fully committed to homeschooling, I would suggest just jumping in at Chapter 4. Oooh! I can't wait to hear what you think about it! Beth, Crecia, Brandy, and I will post our reviews of the book on June 5. We're planning to keep this book club going by reading one book a month. I'm loving the motivation and accountability! I mean, I claim to educate using the classical model, but I'm learning that I really don't know what that is, which is very humbling and embarrassing to admit. I'm excited to learn more about the Trivium this summer alongside my blogger friends, and I'd be honored if you would join us! I'd also like to say a special thank you to the Bluedorns for offering a free book to one blessed reader. Ready to win your copy? Okay, let's do it! This giveaway will end on May 14 at 11:59 p.m., so go ahead and enter! 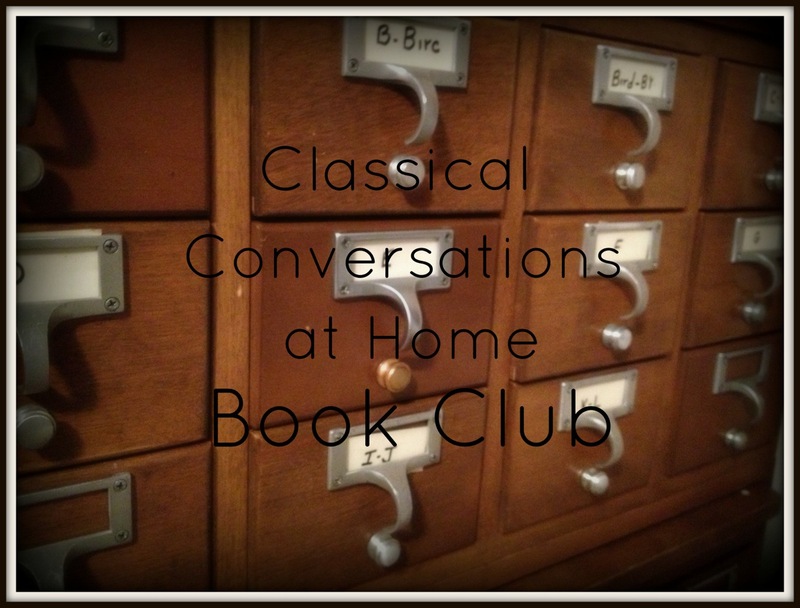 And welcome to the CC at Home Book Club! This sounds interesting. I've recently rediscovered the joy of reading. I would to read this book. Any resource will help. I've been following your blog for a little while and I'm really excited about the idea of a book club! This is one I've been wanting to read for a while too. Count me in! For your planning day, I would suggest a session on review games. You have a lot of great ideas related to that, and honestly that's what makes learning easy and fun for the kids. Great reading recommendation. Thanks for the giveaway. Just finished our first year homeschooling and our first year of classical conversations. Loved every minute of it. I'm in for the book club. I think that I've read this book, but it was a long time ago. Very interesting. I'm with you, I think I have a mixed and possibly messed up idea of classical education. Very interesting. Can't wait to hear more! I sure thought that I had already liked your Facebook page, but apparently I had not. Anyway done now. Strange! I would like to see how to implement learning the maps at home. I would love to dig deeper into Classical education! I tried to sign in with my WP account but of course it never works! Great idea for a book club read! I am so grateful you are spreading the news about Classical Education! It has improved our homeschooling lives. This book has always somewhat intimidated me so I am excited to travel with you through this! I can't wait to read this book, and to see what everyone's thoughts are on it. Learning more about Classical Education is something that a few moms and I are working on right now. I'd love to see how you all do your CC and see if I can add to our week! Thanks for the chance of winning the book! So excited about the book club and reading your thoughts on this selection!! I think the planning day is going to be great!! What a wonderful way to encourage each other and learn from one another!! I'm starting my first year in CC with my oldest who will be in kindergarten this fall. I just stumbled on your blog through Half-a-Hundred Acre Wood's blog. Looking forward to exploring the blog more.